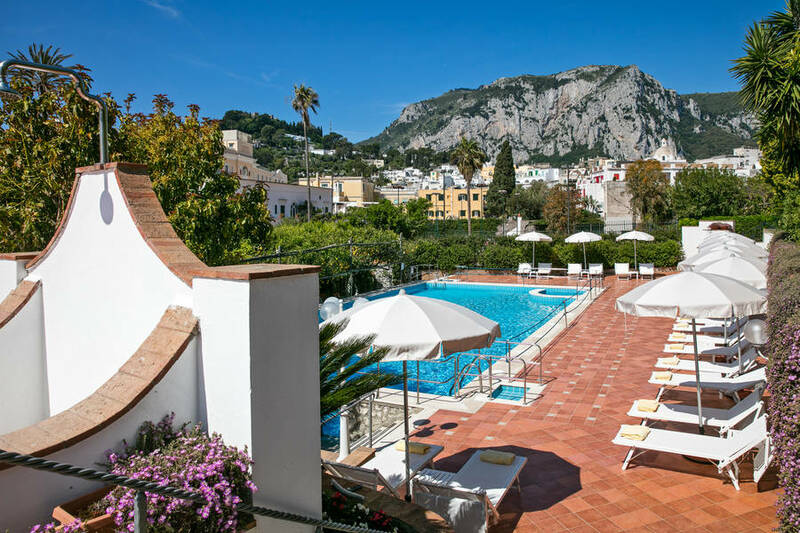 Hotel Syrene Capri: 3 reasons to book here | Capri Booking. 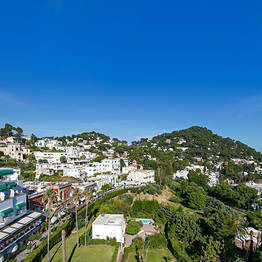 Featuring a balcony, this air-conditioned room offers views of the sea, Via Camerelle and the shopping area. 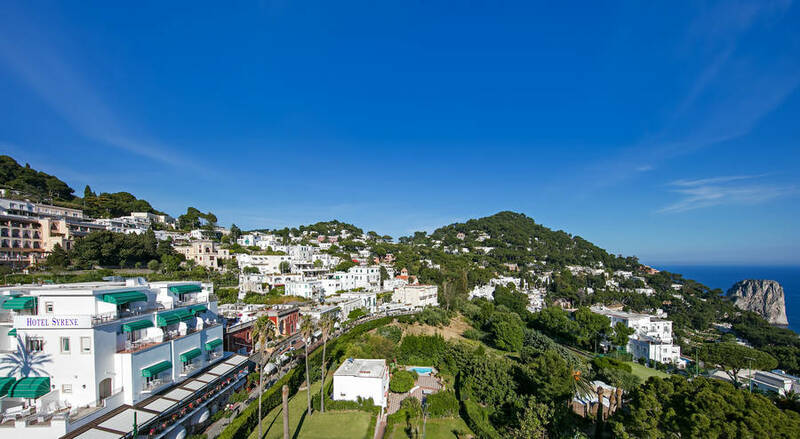 It comes with a flat-screen satellite TV, minibar and private bathroom with free toiletries. 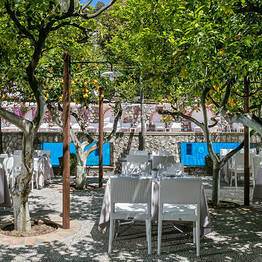 This air-conditioned room comes with a flat-screen satellite TV, minibar and private bathroom with free toiletries. 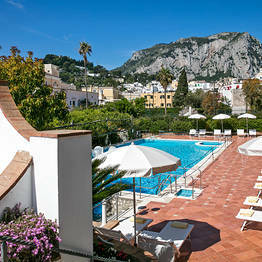 Featuring a balcony, this air-conditioned room offers views of the lemon garden, pool and historic centre of Capri. 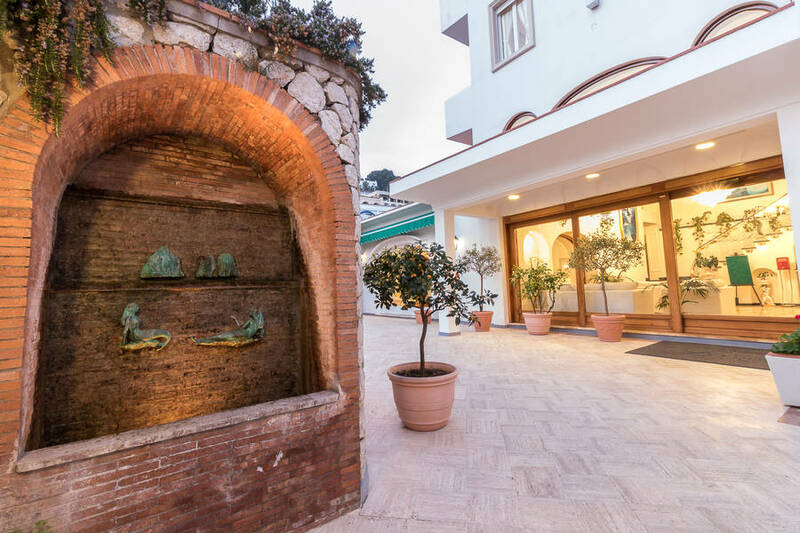 It comes with a flat-screen satellite TV, minibar and private bathroom with free toiletries. 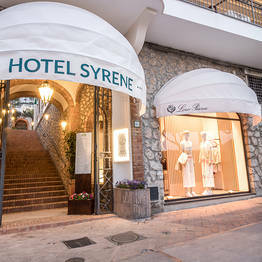 Hotel Syrene boasts an excellent location in the heart of Capri, on Via Camerelle - the street lined with exclusive boutiques and bars. 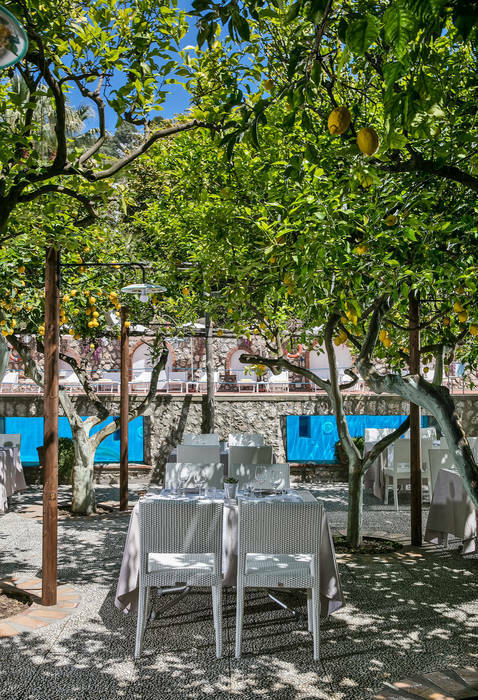 The 17th century Charterhouse of San Giacomo, with its two magnificent cloisters and panoramic gardens is just a short walk from the hotel. 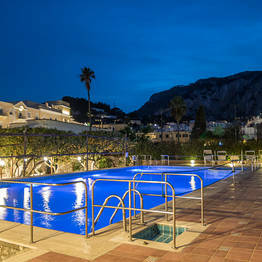 The hotel has a total of 33 bedrooms, many of which with their own private terrace. 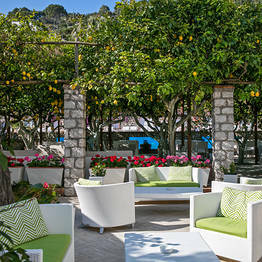 From their rooms, guests enjoy fabulous views of Capri's picturesque town center, the Faraglioni rocks, or the sea. 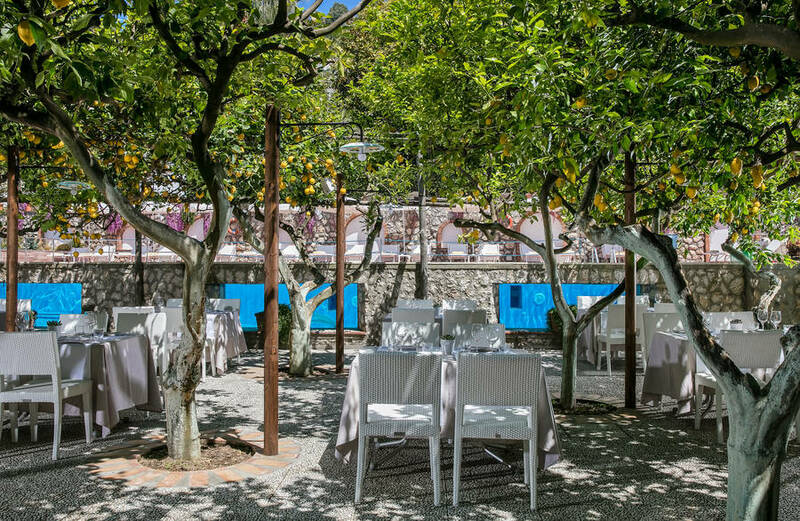 Guests dining at Hotel Syrene's restaurant, either in the main dining room or outside, on the terrace overlooking Via Camerelle, choose from an excellent selection of local, Italian and international dishes. 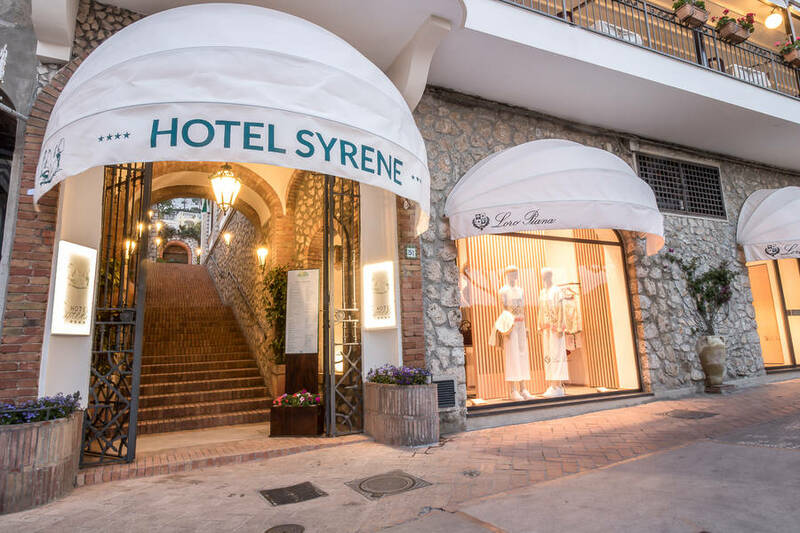 Hotel Syrene's restaurant is a great place where to host a wedding reception, gala dinner, or working lunch. 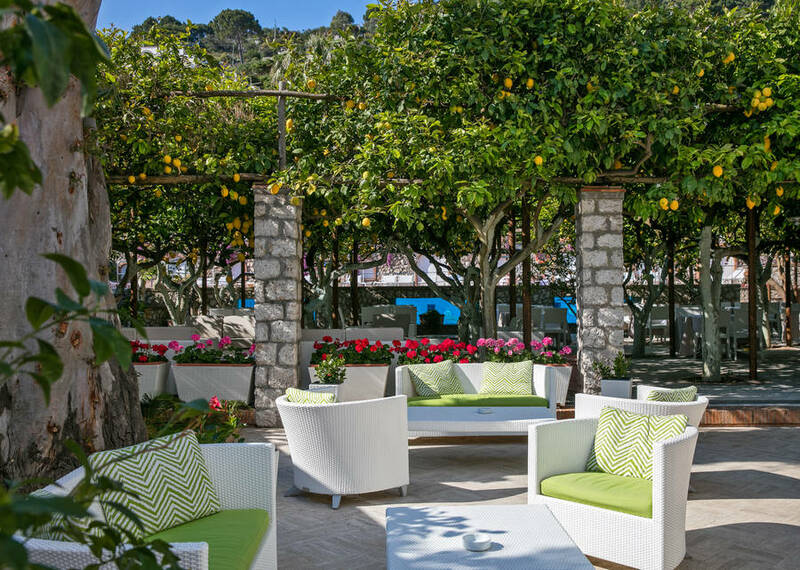 "The incredibly central location is without doubt the hotel's strong point." 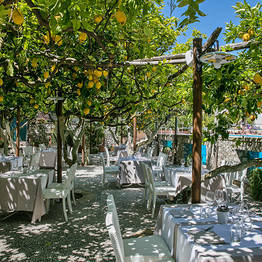 "Great breakfast, the pastries especially deserve a mention." 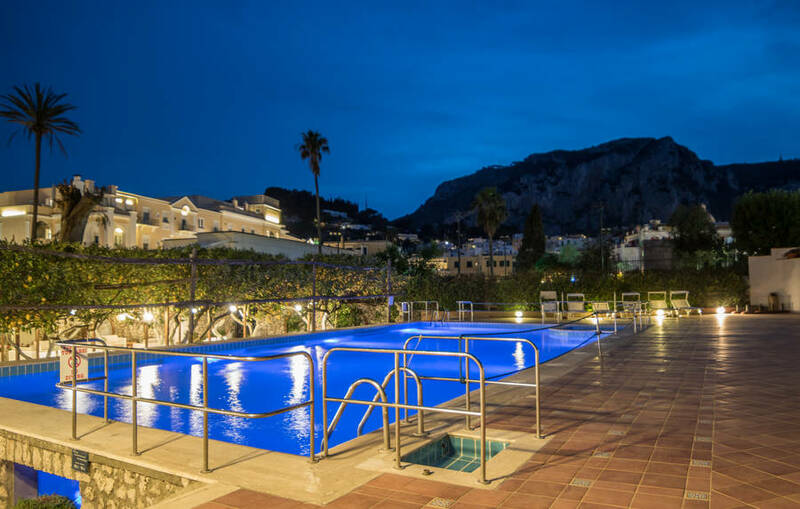 "The staff were friendly and helpful. " 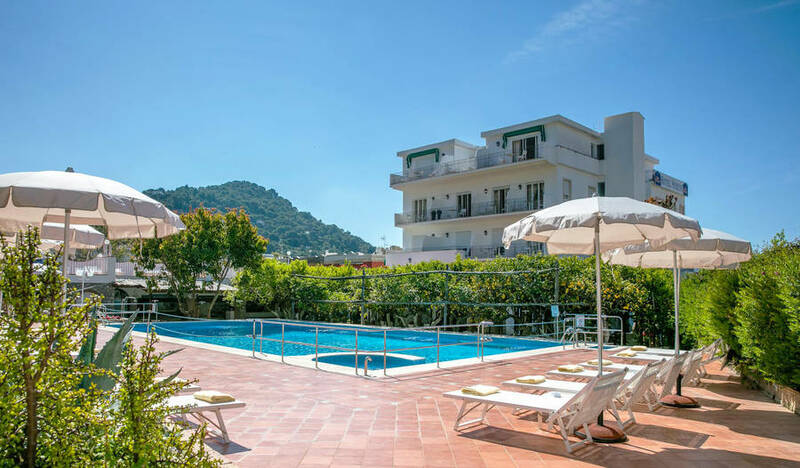 "The rooms are simple but clean and the balconies have a lovely view of the designer shopping district or the sea." 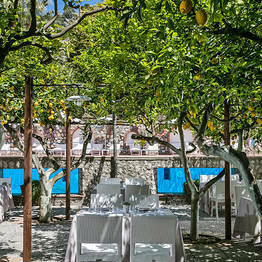 "The restaurant has a lovely location, on the poolside, in the shade of a luxuriant lemon grove. It's a shame it's only open for lunch." 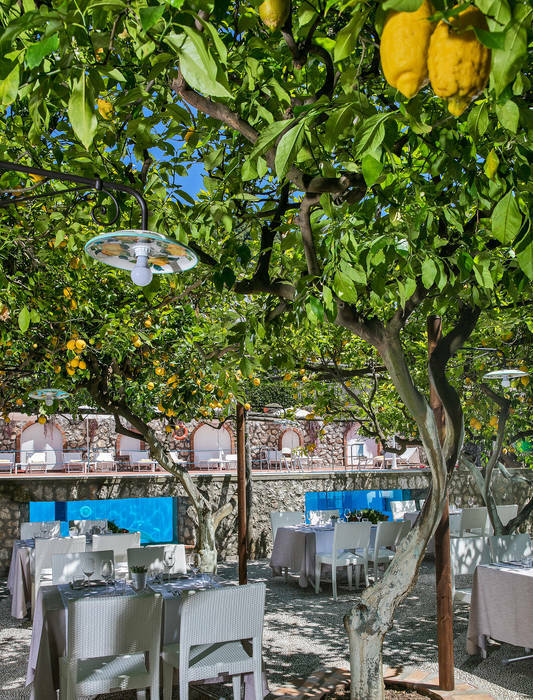 "The staff were always really kind, polite and professional. 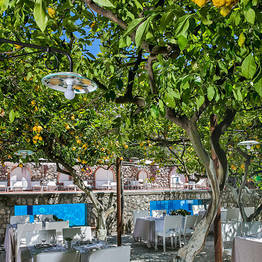 We particularly appreciated the availablitity of glutine free products both at breakfast and in the restaurant. " 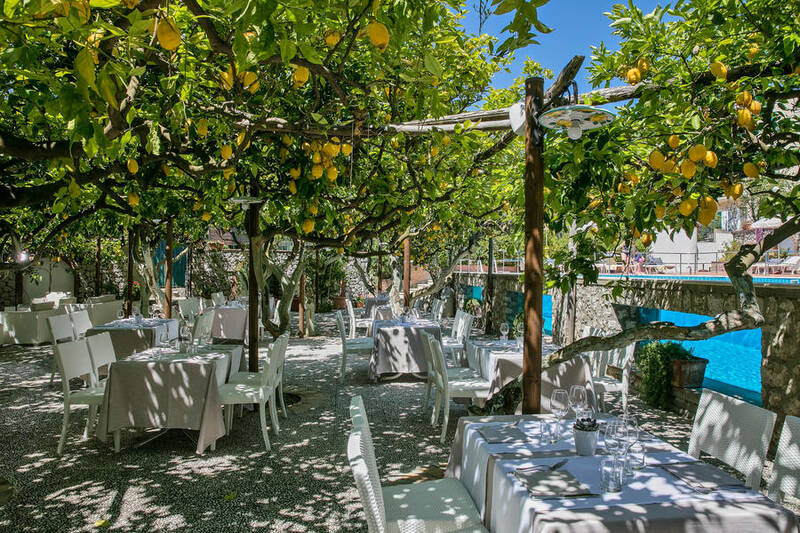 "The staff is unfailingly charming and accomodating. " 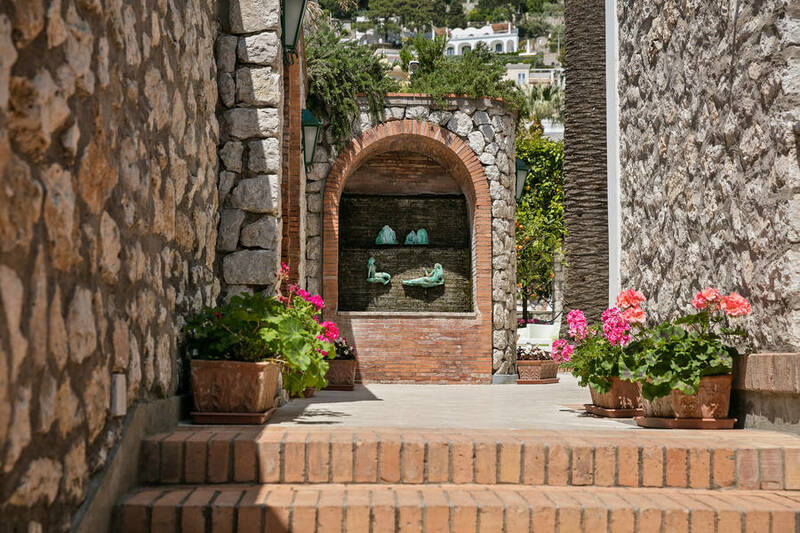 "Hotel staff were extremely helpful arranging the boat tour and assistance with luggage for our trip." "great location, the staff was the best the sea view room with balcony was great would stay their again so nice to our group made our stay great 5 star in my eyes"
"we loved the hotel and would love to come back"
The Hotel Syrene is located in the heart of Capri, Via Camerelle, the main road where there are the most prestigious boutiques of the island. 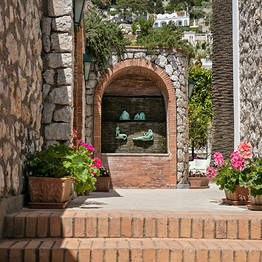 The hotel is within easy walking distance from the Certosa di San Giacomo with the Garden of Augustus. 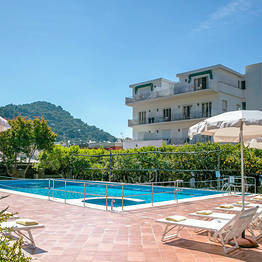 Book Hotel Syrene on Capri.com now with no additional booking fees.